The Pensacola Archaeological Society, PAS, is a 501(c)3 non-profit organization made up of people of all ages with an interest in archaeology. PAS has about 100 members, and they come from diverse backgrounds, but all have an interest in preserving, protecting and studying our past cultures through archaeological investigations and the historical record. Each monthly PAS meeting includes a little business, updates on the archaeological work being done locally and state wide, a presentation about some aspect of archaeology and a social period with refreshments at the end. The meetings last about 90 minutes. We work closely with the Archaeology Institute at the University of West Florida and furnish volunteer workers for many of their field and lab projects. Members also participate in public archaeology projects in the Panhandle of Northwest Florida in cooperation with the Florida Public Archaeology Network (FPAN), Northwest Region. These events include the Florida Archaeology Month celebrations held each year during March, Archaeology Day events, and lab activities throughout the year. Annual dues are just $6 for students, $15 for individuals, and $20 for families, and we offer a $200 life membership. Members receive a monthly newsletter, opportunities to participate in “members only” events each year and the chance to meet and work with many nice people. If you are interested in getting your hands dirty, there are always lab opportunities at UWF and FPAN and often field opportunities associated with public archaeology projects. In addition to public outreach projects, twice a year in March and October PAS presents up to two $400 Student Award grants to UWF Archaeology students. The students use the funds for such things as attending a regional or national conference to present papers or posters, traveling to do research on their thesis topics, or funding radiocarbon dates. Applications and submission information can be found on the Student Awards Page. 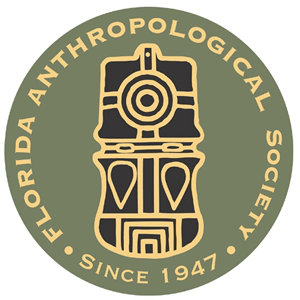 PAS is a chapter of the Florida Anthropological Society (FAS). FAS is a statewide group of professional and avocational archaeologists who, as part of their purpose, promote the continuing study of the peoples of Florida from ancient times to the present. This organization also brings to the attention of the general public and appropriate governmental agencies the need for preserving and recording archaeological and historical sites within the State of Florida and related areas. Visit their website for more information: www.fasweb.org. PAS is a supporting member of the Trail of Florida’s Indian Heritage organization. For more information about the sites represented by this organization, visit this link: www.TrailofFloridasIndianHeritage.org. For more information on how to join and what we do, check out the PAS Brochure, which also includes a membership application, and get updates with the latest news and events through our Facebook page.